Days after teasing the successor to Vivo Apex on Weibo, the Chinese manufacturer has revealed the name of the upcoming smartphone. 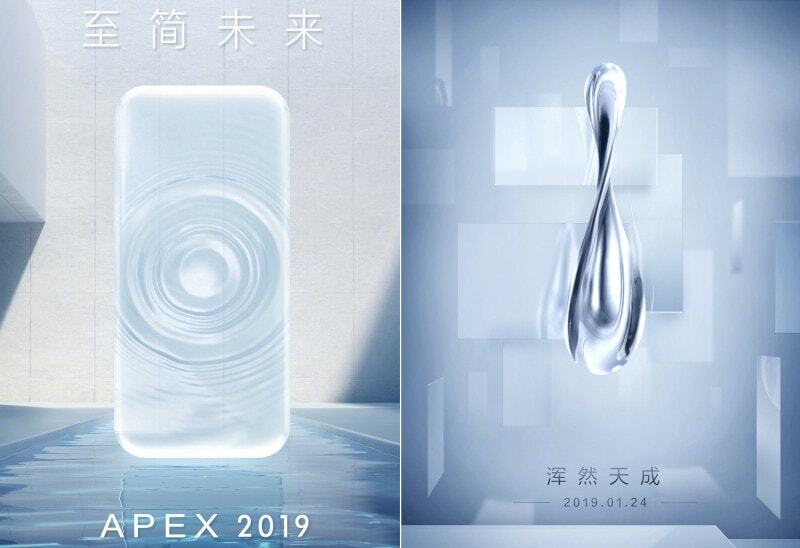 In a new teaser published on Friday, Vivo divulged that the new phone will be called Vivo Apex 2019. The company is scheduled to unveil the smartphone on January 24 in China. Codenamed Waterdrop, the phone is mostly a mystery at this point, however there is indication that the company will include a liquid metal chassis in the phone. Vivo has published a new teaser on Weibo that shows a smartphone with water ripples and rounded corners, in line with the rumours. The teaser also contains a tagline “To Simple Future,” and is accompanied by text saying Vivo Apex 2019 will be using technology “to wake up to the future.” While the tagline and the accompanying text is very vague, it seems to hint towards some sort of a new unlock mechanism or a new in-display fingerprint sensor. After all, the Vivo Apex, which was unveiled at the Mobile World Congress last year, came with a so-called half-screen in-display fingerprint sensor. The technology was however missing from the commercial version of the device, which shipped under the Vivo Nex₹ 33,990 branding. It is possible that Vivo has continued its work on that fingerprint sensor and is going to introduce a new and improved version. As per the previous leaks, the Vivo Apex 2019 will carry the model number EKI1831. It is said to be sporting a very round design with little to no bezels. Known tipster Ice Universe had earlier published a couple of images of the phone, which seem to confirm the round-design aspect and look similar to what the company is showing in the teaser. Further, the Vivo phone is said to coming with a liquid metal chassis without any buttons. We will know more when the company introduces the smartphone on January 24.